A lot of ‘retro’ products are all style and no substance, but occasionally a company creates a new product that feels instantly comfortable and reassuring in a way that carries on past the first impression. If you own a new Fiat 500 or a Shure 55SH you know what I’m talking about, and the Edifier S350DBs may be the speakers for you. The S350DBs are a tri-amped (150W total) satellite-and-sub mini-system with titanium tweeters, 3-inch mids, and an 8-inch subwoofer. They feature digital connectivity including Bluetooth. Their tag-line reads “Old school style, modern sound,” and that hits pretty close to the mark. 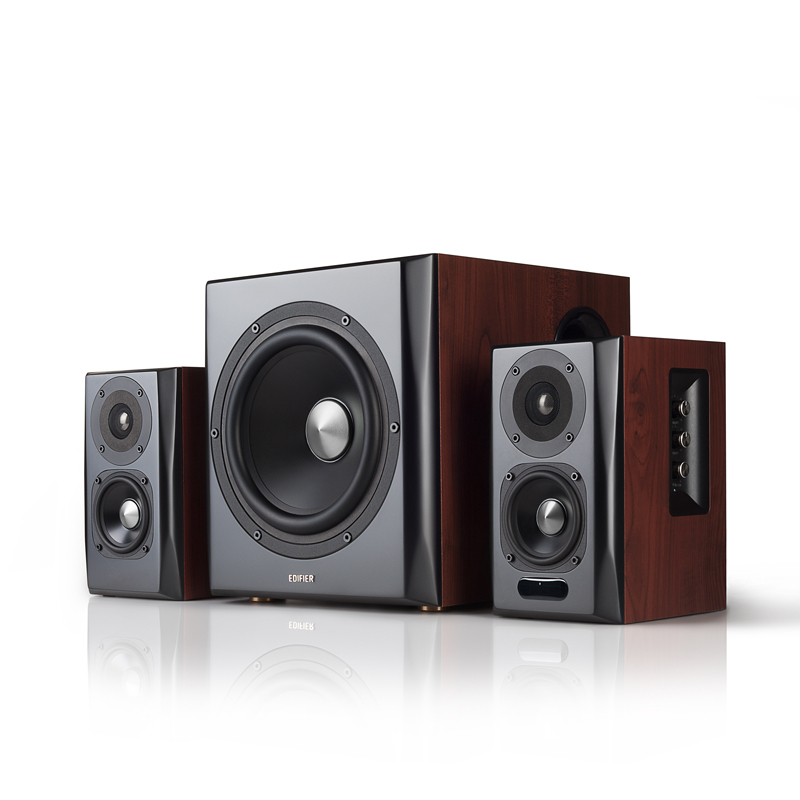 With their dark wood-grain cabinets and metallic silver dustcaps, these speakers have a decidedly Modernist feel. 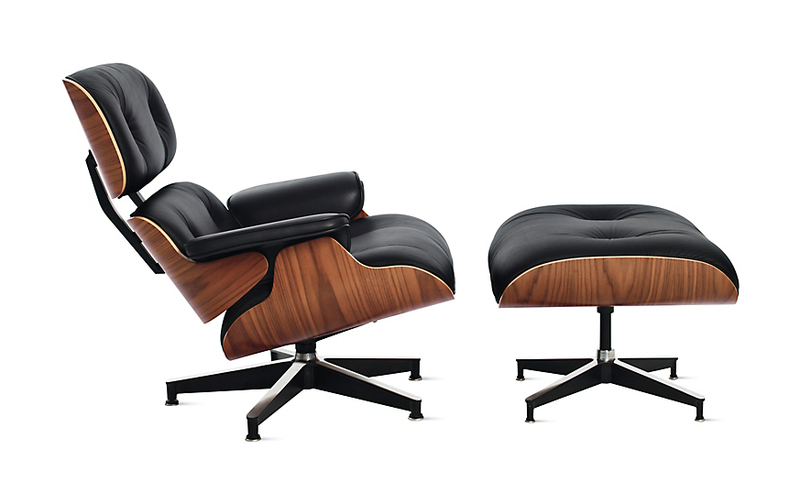 They would look right at home next to an Eames chair in a converted loft space. Even the quality of their build seems like it is from another era. They are weighty and have a visual gravitas. And they do all this for $299.99. 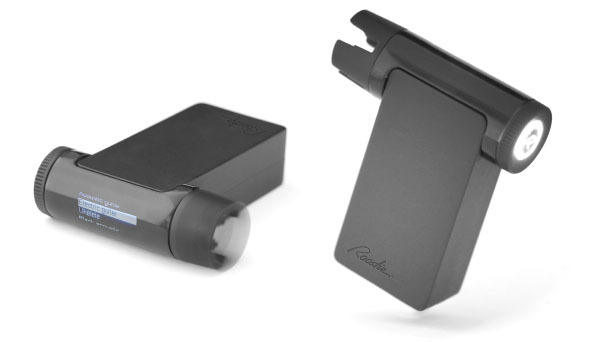 I’m confused about the name: “Roadie.” That suggests a device that can carry your gear, set up the stage, roll up cables properly, maybe fetch a sandwich between sets. Normally I wouldn’t let a roadie touch my guitars. But Roadie 2 claims to know something about tunings, both standard and alternate, so I gave it a try. Digital vs. Analog. We are all tired of that debate (I hope). [Not all of us. -Ed.] But beyond hard drives and ADC’s, digital has revolutionized this business in another way that never gets brought up in conversation: networking. Didn’t you always hear that making it in the music business was all about networking? I know I did. But these days, networking has become digitized, and a lot of us only know one another through forums, Facebook, and the Pensado’s Place comments section on YouTube. What happened to In Real Life? Face to face? Shaking hands and making plans? The folks at H.O.M.E. — that’s “Helping Our Music Evolve” — miss that, and they think you do too. “Helping Our Music Evolve” is a non-profit 501(c)(6) membership organization that acts as a launchpad and home base for music creators looking to get their foot in the door of the music business. That includes songwriters, musicians, and producers, as well as those that form the teams around them, such as managers and agents. 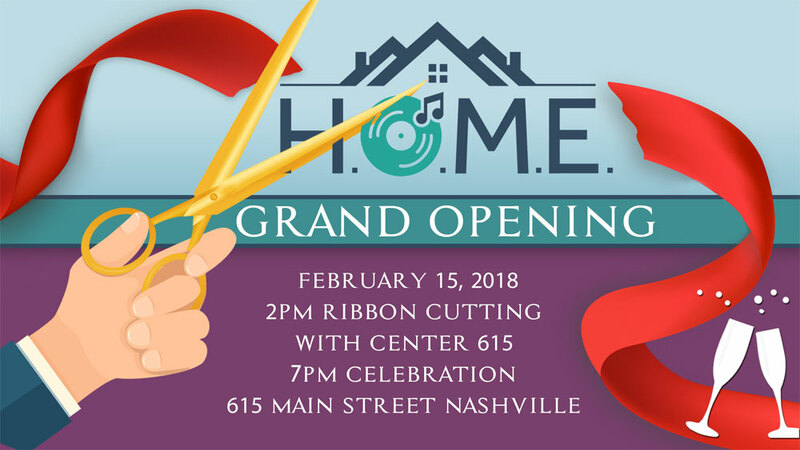 The organization’s headquarters is a studio, performance space, and musician hangout, all located inside the Center 615 building in East Nashville. And because this is the 21st century, it has an online component, which has a directory of all its members and a robust search feature to help you find somebody to make music with (the brochure says it’s been called “the LinkedIn for the music industry”). My favorite part, however, might be the coupon section for discounts at local restaurants. H.O.M.E. gets it: musicians are broke. I have a rule when it comes to plugins. If it doesn’t do something different from my other plugins, then I don’t want it. So when I gave HD Cart a try, I immediately sought out what makes this reverb different from the rest. I quickly noticed this was no ordinary reverb. After a quick inspection, I realized it had features I’ve never seen on a reverb before, and some features that were completely foreign to me. After reading the product overview from the site, I was excited to see what this could do. The idea, in a nutshell, is that engineers can intelligently build up a mic collection by paying attention to a couple key characteristics of the various choices they’re considering. Nobody wants to buy three mics that all sound substantially the same, right? With a couple minutes’ education (which unfortunately I spent an hour trying to deliver — please bear with this first draft attempt! ), any audio engineer or studio owner can quickly classify microphones into a handful of sonic categories. If all the mics you own sit in one or two categories, you’ll need to pick something different next time out. This presentation helps you do that. Photo credit: I believe my pal Ken Levy took this one, at Summer NAMM 2017. That’s Lij on the left, Chris Selim of Mixdown Online in the middle, and me on the right. New visitors might not realize that I started this website (nearly 10 years ago!) because I felt like I couldn’t make sane purchase decisions about microphones without knowing what my choices were. 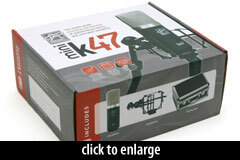 Online stores will only show you the microphones they sell. Manufacturer websites can hardly be trusted to be objective about their own products. What I needed was an impartial source of microphone information, to enable direct comparisons. I envisioned a searchable listing of every microphone ever made, with detailed descriptions of components, capsules, and design intent. While the microphone piece of this project is still in progress, I already consider it a success. I’ve heard from hundreds of musicians and engineers over the years who have used the numerous mic shootouts or the Mic Database to make gear choices. 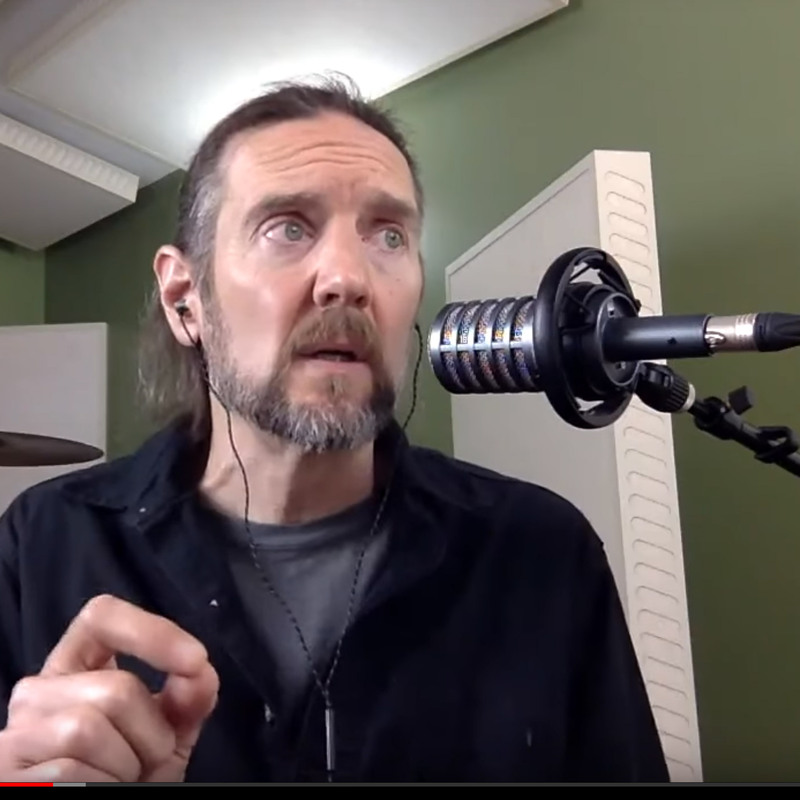 I was blown away when Warren Huart mentioned in our recent “Mic Madness” Youtube Live event that he personally found the RecordingHacks site inspirational in building his own business. It is incredibly touching to learn that this project that I built for my own use has become a critical reference tool for so many people. To those of you who have reached out over the years to express that this site has helped you: thank you! Many long-time readers already know that my mic obsession took an unexpected (to me) turn a couple years ago, when I founded a … wait for it … microphone company of my own. 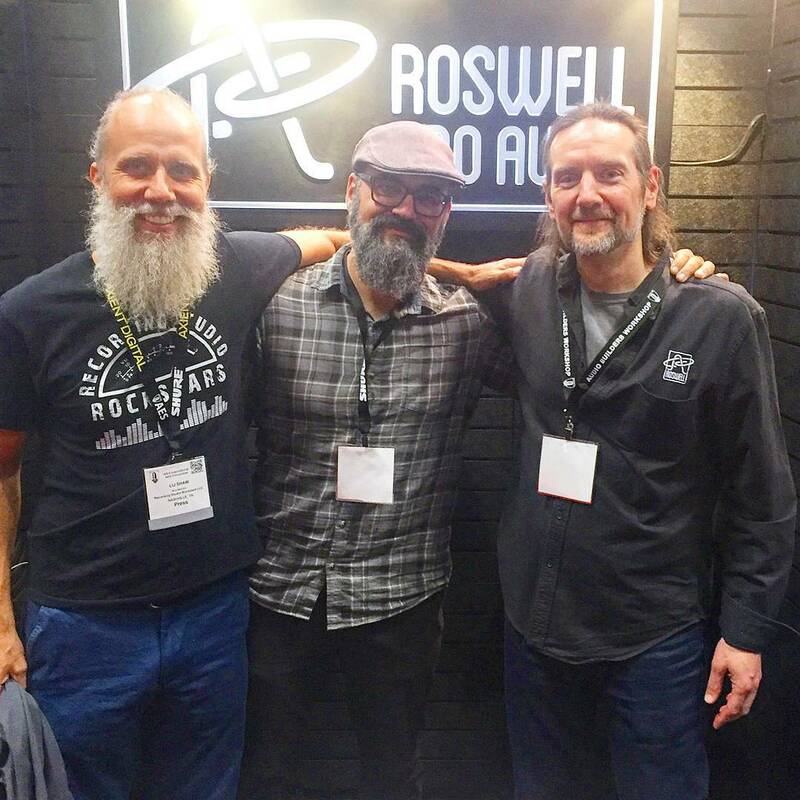 It’s called Roswell Pro Audio. The company doesn’t make any “me too” models or “clones,” but rather borrows proven capsule and circuit designs and combines them in new ways, filling sonic niches that are otherwise under-served by existing commercial options. 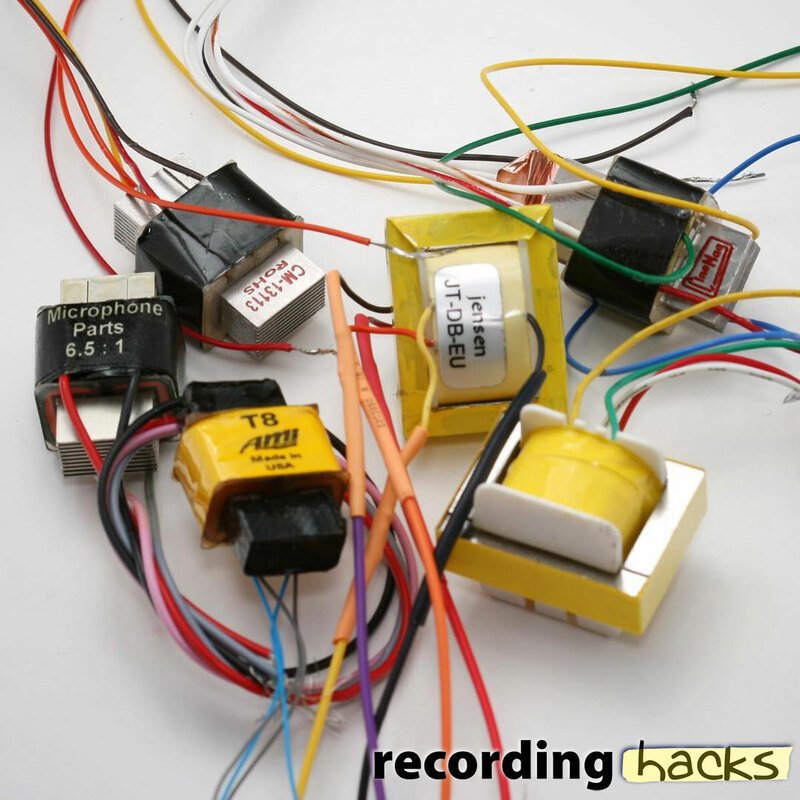 If you’ve done DIY audio for any amount of time, you’ll have collected a bin of leftover parts. 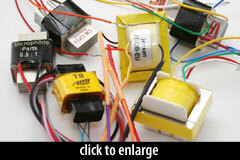 Mine includes a bunch of unlabeled microphone output transformers that were pulled from a variety of cheap microphones. Chances are I’d never want to actually use one of them, but sometimes in the thick of R&D there’s a need for some oddball ratio that maybe I have on hand, if only I knew what the #$%&@! was hiding in that parts bin. The basic plan is to output a 1kHz audio signal from your computer, into the transformer primaries. Then measure the AC voltage coming out the secondaries. Divide the input voltage by the output voltage. That’s it. Read on for the details. Warren of Produce Like A Pro invited me to do a Q&A session on Youtube Live, which he dubbed “Mic Madness with Matt McGlynn.” We went on for over 2 hours! It was good fun, and we got into some detail about a number of things (but of course mostly about microphones!). Because several people have already asked: I used my go-to podcasting mic, the beyerdynamic M 99. That was my personal favorite from the Ultimate Podcasting Mic Shootout. My studio isn’t really set up for video, so rather than drag my usual preamp, interface, and and outboard gear across the room I went super-simple on the audio chain: mic, Mackie USB interface, laptop. 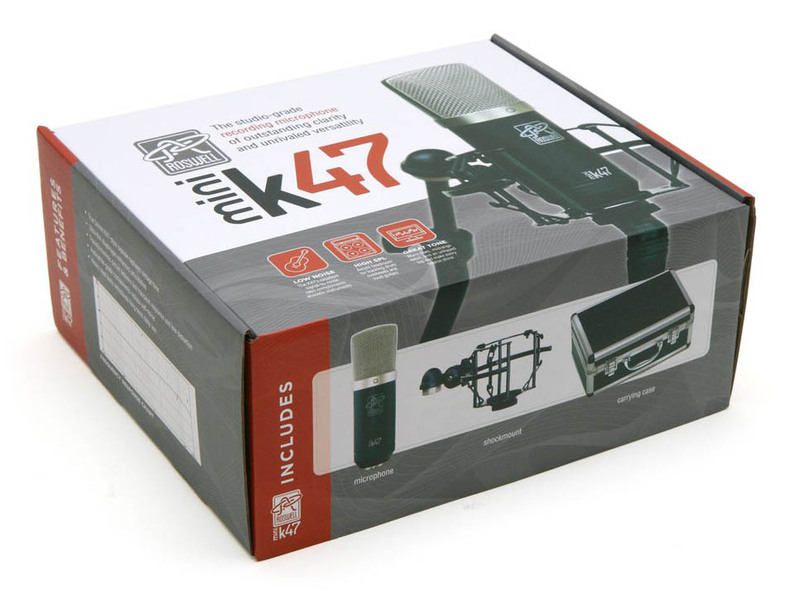 By the way, this video contains the first public announcement of the new and upgraded Roswell Mini K47 condenser microphone, which is now available through discriminating dealers around the country (and soon, world). More info here. Warren talked about doing another Mic Madness session. If you’d like us to, leave a request (or even a specific question) here or on the Youtube video. I stumbled across this headphone hanger on Amazon in June, and bought it on a whim. Now it’s my new favorite audio accessory. 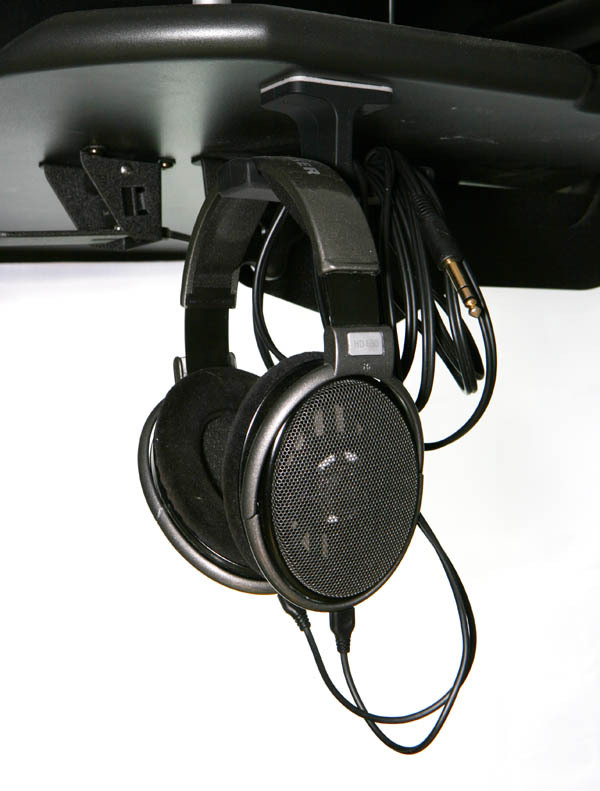 Here’s the thing: my HD 650’s had been cluttering up my desk, or sitting on the floor nearby, for months. Best case, they’re getting dusty. Worse, they’re getting kicked and stepped on. My headphones deserve better, but my titanic mess in my office did not lend itself to proper headphone care. I recently had an opportunity to try a new ribbon microphone from Cathedral Guitars. The mic is basically a mod on the Cascade Fat Head platform; the Chinese transformer in the standard Fat Head is replaced by an AMI TR42. I already have a Fat Head with Lundahl transformer in my mic shoe box, so I’m familiar with how these guys sound. The Cathedral Guitars Fat Head is another desirable flavor you’ll want to hear if you record a lot of electric guitar cabs, or horns, or even acoustic guitar.